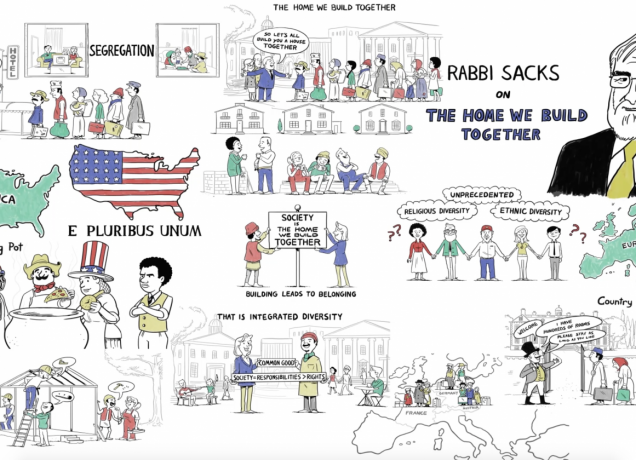 Covenant & Conversation: Family Edition is a new and exciting initiative from The Office of Rabbi Sacks for 5779. Written as an accompaniment to Rabbi Sacks’ weekly Covenant & Conversation essay, the Family Edition is aimed at connecting older children and teenagers with his ideas and thoughts on the parsha. Each element of the Family Edition is progressively more advanced; The Core Idea is appropriate for all ages and the final element, From The Thought of Rabbi Sacks, is the most advanced section. Each section includes Questions to Ponder, aimed at encouraging discussion between family members in a way most appropriate to them. We have also included a section called Around the Shabbat Table with a few further questions on the parsha to think about. The final section is an Educational Companion which includes suggested talking points in response to the questions found throughout the Family Edition. This Family Edition acts as an accompaniment to the main Covenant & Conversation essay for Mikketz 5779 which you can read here. Mikketz tells two of the most dramatic stories in the Torah. The first is the reversal in Joseph’s fortunes. Forgotten and abandoned in prison, he is brought out to interpret Pharaoh’s dreams, which he does successfully. Having told Pharaoh that the dreams warn of eventual drought and famine, he then announces a solution to the problem. Pharaoh, impressed, appoints Joseph to high office in Egypt, second only to himself. The second story occurs when Joseph’s brothers, driven by famine in Canaan, come to Egypt to buy food. They come before Joseph, but fail to recognise him as their brother, though he recognises them. Joseph, without revealing his identity, creates a complex situation for the brothers that is designed to test them. The test and outcome reaches a climax in the next parasha. When Joseph is brought from prison to interpret Pharaoh’s dreams, both men refer to God. Three times the word Elokim, God, appears in Genesis 41. On the face of it, this is surprising. Egypt was not a monotheistic (belief in one God) culture. On the contrary, it was a place of many gods and goddesses – the sun, the Nile, and so on. Why then does Joseph take it for granted that Pharaoh will understand his reference to God – an assumption proved correct when Pharaoh twice uses the word himself? What is the significance of the word Elokim? The Torah has two primary ways of referring to God, the four-letter name we allude to as Hashem (“the name”) and the word Elokim. Judah HaLevi, the philosopher-poet of the eleventh century, believed these represented two different ways to relate to God. The ancients worshipped forces of nature, which they personified as gods. Each was known as El, or Eloah. The word “El” therefore generically means “a force, a power, an element of nature.” Judaism, however, believed that the forces of nature were not independent and autonomous. They represented a single totality, one creative will, the Author of being – God. The Torah therefore speaks of Elokim in the plural, meaning, “the sum of all forces, the totality of all powers.” Today we might say that Elokim is God as He is found in science: the Big Bang, the various forces that give the universe its configuration, and the genetic code that shapes life from the simplest bacterium to Homo sapiens. Hashem is God’s proper name. The difference between proper names and general descriptions is important. Things have descriptions, but only people have proper names. When we call someone by name, we are relating to them in their uniqueness and ours. We are opening up ourselves to them and inviting them, in readiness and respect, to open themselves up to us. Elokim is God as we encounter Him in nature. Hashem is God as we encounter Him in personal relationships, above all in that essentially human mode of relationship that we call speech, verbal communication, conversation, dialogue, words. That is why Joseph is able to assume that Egyptians will understand the idea of Elokim, even though they are wholly unfamiliar with the idea of Hashem. An Egyptian can understand Elokim, the God of nature. He cannot understand Hashem, the God of personal relationship. Do you think all people can relate to Elokim, the God of science and creation? Do you think it is harder to relate to Hashem, the personal God, with whom you can speak with and have a relationship with? Can you think of examples when you have connected to the aspects of God we are referring to as Elokim and Hashem in your life? Elijah was one of the greatest of the prophets, a man of justice unafraid to confront kings and prophets alike. What upset him the most was the spread of idolatry among his people. He decided to confront the prophets of the god Baal on Mount Carmel. He and they would offer a sacrifice. The God who sent fire to consume the offering would be the true God. His opponents prepared the sacrifice, said their prayers and waited. No fire came. Elijah then said a prayer and fire came down from heaven. Elijah had won! And the people declared “The Lord is God”. But the story does not end there. Queen Jezebel orders Elijah’s arrest and he runs away to Mount Horeb, which is Mount Sinai. God asks him: “What are you doing here, Elijah?” Elijah replies: “I have been very zealous for the Lord God Almighty.” God says: “Go and stand on the mountain in the presence of the Lord, for the Lord is about to pass by.” Suddenly there was a whirlwind, “tearing the mountains apart and shattering the rocks”. But God was not in the wind. Then came an earthquake, but God was not in the earthquake. Then there was a fire, but God was not in the fire. Then came a “still, small voice”. Immediately, Elijah recognised that this was the voice of God. God then repeated his question, “What are you doing here, Elijah?” Elijah replied in the same words as before. God then told Elijah to appoint Elisha as his successor. In The Core Idea, we saw two aspects of God, represented by two different names, Elokim and Hashem. Which of those do you see in this story? What lesson do you think God was trying to teach Elijah? As we saw in The Core Idea, Joseph refers to God in a way Pharaoh can understand – as Elokim, the aspect of God to be found in creation, rather than Hashem, the aspect of God we find in personal relationships and in revelation (direct divine communication). This is the tension, within Judaism, between the universal and the particular. God as we encounter Him in creation is universal; God as we hear Him in revelation is particular. This is mirrored in the way the narrative of Genesis develops. It begins with characters and events whose significance is that they are universal archetypes: Adam and Eve, Cain and Abel, Noah and the Flood, the builders of Babel. Their stories tell us about the human condition as such: obedience and rebellion, faith and fratricide, hubris and nemesis, technology and violence, the order God makes and the chaos we create. Not until the twelfth chapter of Genesis does the Torah turn to the particular, to one family, that of Abraham and Sarah, and the covenant God enters into with them and their descendants. That duality and its sequence – from the universal to the particular – is not marginal to Judaism. One might almost call it the basic structure, the depth grammar, of the Jewish mind. The duality has legal-theological expression in the form of two covenants, the first with Noah and all humanity after the Flood, the second with Abraham and his descendants, given detailed articulation at Mount Sinai and during the wilderness years. 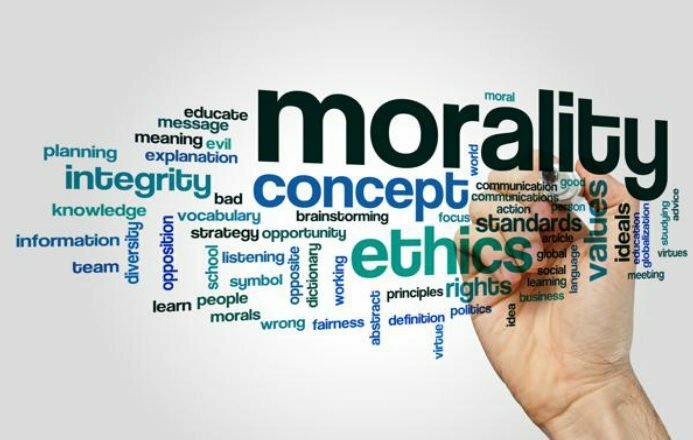 On the one hand there is the Noahide covenant with its seven commands: not to murder, steal, commit adultery, blaspheme, worship idols or practice needless cruelty against animals, together with a positive command to establish a system of justice. These are the minimal and basic requirements of humanity as such, the foundations of any stable and morally acceptable society. On the other is the richly detailed code of 613 commandments that form Israel’s constitution as “a kingdom of priests and a holy nation” (Exodus 19:16). 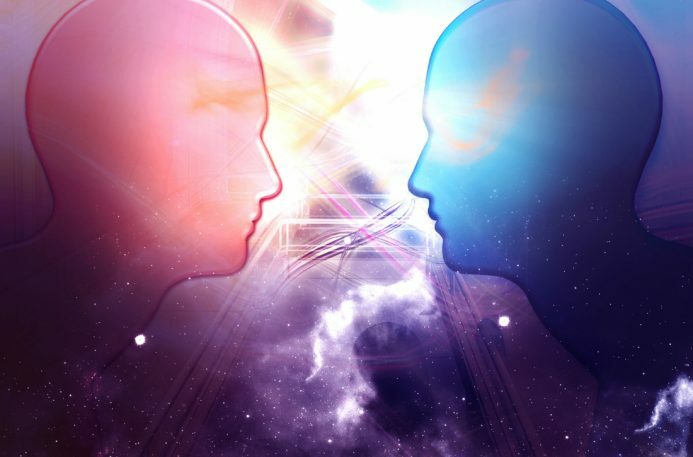 Not only is the duality worked out in the form of law and ethics, covenant and command. It is also expressed in Judaism’s dual epistemology (philosophy of knowledge), its twofold scheme of human knowledge – Chokhma and Torah. Chokhma is the truth we discover; Torah is the truth we inherit. Chokhma is the universal heritage of mankind, by virtue of the fact that we are created in God’s “image and likeness”; Torah is the specific heritage of Israel. Chokhma reveals God in creation; Torah is the word of God in revelation. Chokhma is ontological truth (how things are); Torah is covenantal truth (how things ought to be). Chokhma can be defined as anything that allows us to see the universe as the work of God, and humanity as the image of God; Torah is God’s covenant with the Jewish people, the architecture of holiness and Israel’s written constitution as a nation under the sovereignty of God. So there are the universals of Judaism – creation, humanity as God’s image, the covenant with Noah and knowledge-as-chokhma. There are also its particularities – revelation, Israel as God’s “firstborn child,” the covenants with Abraham and the Jewish people at Sinai, and knowledge-as-Torah. The first represents the face of God accessible to all mankind (creation); the second, that special, intimate and personal relationship He has with the people He holds close, as disclosed in the Torah (revelation) and Jewish history (redemption). The word for the first is Elokim, and for the second, Hashem. Judaism was – and to this day remains – unique in its combination of universalism and particularism. We believe that God is the God of all humanity. He created all. He is accessible to all. He cares for all. He has made a covenant with all. Yet there is also a relationship with God that is unique to the Jewish people. It alone has placed its national life under His direct sovereignty. It alone has risked its entire being on a divine covenant. It alone testifies in its history to the presence within it of a Presence beyond it. Without Torah we cannot understand the Jewish story. But without chokhma we cannot understand the human story. There are three elements of Jewish faith: creation, revelation and redemption. Creation is God’s relationship with the universe. Revelation is God’s relationship with us. Redemption is what happens when we apply revelation to creation, when we apply God’s word to God’s world. We cannot apply Torah to the world unless we understand the world. Without an understanding of creation, we will fail to bring about redemption. According to Rabbi Sacks, is it a religious imperative to learn chokhma and if so, why? Why is the Jewish people in a unique position to influence the world for the better and how can we do this? What aspects of your life and your faith connect you to people of other faiths? What aspects of your faith do you find are an obstacle to connecting and forming relationships with people from other faiths? Do you think the fact that Jews have a particular and special relationship with God and a specific covenant with Him make the Jewish people superior in any way? Do you think it is ok to just study chokhma or Torah? Do you think it is important to involve yourself in both? How does Judaism’s dual approach of universalism and particularism to the world make it unique message? Do you want to win a Koren Aviv Weekday Siddur? This siddur has been designed to help young people explore their relationship to their God, and the values, history and religion of their people. Email CCFamilyEdition@rabbisacks.org with your name, age, city and your best question or observation about the parsha from the Covenant & Conversation Family Edition. Entrants must be 18 or younger. Each month we will select two of the best entries, and the individuals will each be sent a siddur inscribed by Rabbi Sacks! Thank you to Koren Publishers for kindly donating these wonderful siddurim. The human experience is universal, and Elokim represents the God of that universal experience. All humans that are open to finding room for God in their life should be able to connect to the God of science and creation, and particular religions give a suggested path to that connection (but organised religion is not necessarily the only path to connecting to this universal God). A personal God, the God that plays a role in history in general, and in your life specifically, the God who listens and answers prayers, is a God with whom a relationship takes a deeper faith and harder work to cultivate. These two modes of relationship with God were expressed by the modern Jewish philosopher Martin Buber as an I-It and I-Thou relationship. This is a personal question that requires a self-introspection and a personal answer. One possible approach to this story, found in chapter 19 of I Kings, is that the God of Power that Elijah brings to judge the prophets of Ba’al on Mount Carmel, and the God that reveals Himself to Elijah on Mount Horeb/Sinai in the power of nature (the whirlwind, the earthquake, and the fire) was God of Creation, represented by the name Elokim. The personal God, Hashem, was found in “still small voice” that Elijah could connect to. According to Rabbi Sacks it is vital that Jews learn chokhma as well as Torah, to fulfill the mission and destiny of the Jewish people to the world. Rabbi Sacks believes in a Jewish radical responsibility to improve the world through spreading the values of the Torah and acting on them. In this way we will bring about redemption for the world. However, the only way it is possible to do this, is through understanding the world by studying the wisdom of the world. He called this kind of knowledge chokhma, which could be explained as natural and social sciences and include the arts and general culture. In this way we will be able to apply Torah values (revelation) to the world (creations) and bring about redemption. The Jewish people have been charged with the mission of helping to bring redemption to the world through spreading and acting on Torah values, and hence were brought into a specific covenant with God, which is the observance of the Torah. This is a task given to the Jewish people, not because of any inherent superiority or preferential treatment or relationship, but simple due to ability to fulfill this agency and bring about the realisation of God’s plan for the world. Ultimately all humans share the basic experience of humanity and this should be enough for empathy, connection, and relationship. There are many aspects of Judaism specifically that can be found in other faiths and cultures and provide other ways to connect to people of other faiths and cultures. These may come from both the universal aspects of Judaism, as well as the particular aspects of Judaism, providing a particular example of faith and religion similar enough to other particular specific faiths, reminding us all we have so much more in common than that which separates us. There could potentially be many examples of this, especially the aspects of Judaism that are designed to strengthen our national and religious identity, perhaps at the expense of a more general identity that can be shared with the rest of humanity. These could include laws such as Shabbat and kashrut for example. However, these in themselves, can also bring people of various faiths together if they are all approached as examples of ritual law, which all religions have. The particular relationship the Jewish people believe they have with God does not preclude God having other relationships with all other people, just as the particular loving relationship a parent has with one particular child does not preclude a second deeply loving and special relationship with a second sibling. In fact, it is a core belief of Judaism that “God is the God of all humanity. He created all. He is accessible to all. He cares for all. He has made a covenant with all.” God’s unique relationship with the Jewish people does not impact that in anyway, just as God’s unique relationship with other peoples has no impact on the Jewish people and their relationship with God. See From the Thought of Rabbi Sacks, and the answer to question 1 there. Some other religions are only universal or ultimately particular in their message. This means that according to these religions there is only one way to serve God and live in His shadow. Those that choose to convert and live their lives according to the doctrine of this religion will be saved, and those that refuse will miss out on salvation, facing whatever alternative they believe God has in store for those outside of the true faith. In Latin this is called Extra Ecclesiam nulla salus. However, Judaism’s approach is diametrically opposed to this. The universal dimension of Jewish thought allows an open and tolerant to all people, lifestyles, and religions, that are compatible with the basic morality contained in the Noahide covenant and the seven laws contained therein (see Thinking More Deeply above). Those that wish to convert to Judaism can, but this is not a necessity (and in fact Jewish law makes this process challenging in order to ensure the integrity of the motivation of the would-be convert). Read or download other Covenant & Conversation: Family Editions here.